2016 promises to be a banner year for TOGAF®, an Open Group standard. Last month, worldwide certifications for TOGAF 9 surpassed the 50,000 mark, and on January 25, The Open Group will be hosting its first TOGAF® User Group Meeting in San Francisco. 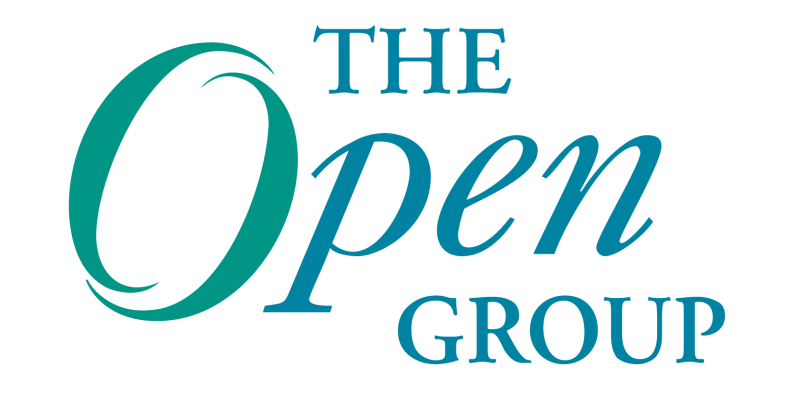 We recently spoke with The Open Group President and CEO Steve Nunn about why The Open Group has decided to host a user group as TOGAF enters its third decade of use, what attendees can look forward to at the meeting, and what’s next for the standard. The Open Group will be hosting the first ever TOGAF User Group Meeting in January—why start a user group? The growth of TOGAF and popularity of the standard is so great at this point. There’s a very substantial community of not just organizations but individuals using TOGAF in their daily lives and jobs. Only a small part of that community is the people who are involved in the The Open Group Architecture Forum, which evolves the standard. But we’ve just passed 50,000 TOGAF certifications, and there’s a substantial community worldwide who are always looking to better understand how they can use the standard for their organizations and what makes sense for them with TOGAF. The idea of the User Group is to provide a forum for them as individuals—initially as a conference and then going forward as a virtual community—to learn from each other’s experiences of using TOGAF—tips and tricks, what works, what doesn’t work. We think there is a great appetite for that which isn’t being fulfilled at the moment other than very partially through LinkedIn Groups. TOGAF is a significant offering from The Open Group, and so it’s The Open Group that should be offering the User Group, and we are taking that opportunity. TOGAF has been in use for 20 years already—so why start a User Group now? Why now? In the past, we used to see presentations about successful implementations of Enterprise Architecture and the question we asked was always ‘Are you using TOGAF?’ Today, that’s pretty much a given. It’s not IF TOGAF is being used, but HOW. And people are using it for more than just IT projects or even Enterprise Architecture driven projects. At our Edinburgh conference, we learned that BAE Systems is using it for their entire operations in building nuclear submarines. They are actually using it for everything other than IT. It is also being picked up by HR departments. And there is a whole realm of disciplines inside organizations that could be picking up TOGAF and using it for different things. The thing we always stress is to take TOGAF and use it for whatever makes sense within your organization. Don’t just try to absorb the whole thing—use it for what makes sense. And when you see presentations on it, people are almost apologetic about what they didn’t use. But that’s the whole point—it is capable of being used to a greater or lesser degree, depending on your needs and your organization. What are you hoping that users will get out of the User Group meeting? There are all sorts of ways to use TOGAF, and what we are trying to do with the User Group is enable and encourage users to share their experience and areas of interest, their views on what works and doesn’t work, what might need beefing up a bit, any gaps and what would be useful in terms of implementation. It’s really about how to use TOGAF on a daily basis. That is what we’re hoping—that people will come away with more ideas about that. The two biggest things are the networking with their peers and the opportunity to discuss tips and tricks. Beyond that, there is the opportunity for those that don’t usually participate in the Architecture Forum to provide their ideas about how TOGAF can be improved, at a time when the next version is still being worked on and it’s still early enough to influence that. If there are suggestions made to the Forum members that seem to make sense, they do tend to take them onboard, so it is a way to get ideas heard and suggestions to the Forum. What are you hoping that the Architecture Forum will gain from user input? We’d like to get some initial reactions to what some of the current thinking is for the next version of TOGAF, and get some feedback and input on that. Also we’d hope to encourage people who haven’t seen the need to participate in the Forum to get involved, and we expect they will see that opportunity more clearly by getting an understanding of how things work inside The Open Group. Will there be more User Group Meetings in the future? The group itself will decide whether there’s interest in a virtual community as a long-term activity. We certainly intend to run User Group Meetings at quarterly events, assuming there is interest. We’ve been thinking about doing a User Group for some time. We think there will be a lot of benefit for both users and The Open Group in doing it at this point in time—it feels like it’s the right time. Steve is a lawyer by training, has an L.L.B. (Hons) in Law with French and retains a current legal practicing certificate. Having spent most of his life in the UK, Steve has lived in the San Francisco Bay Area since 2007. He enjoys spending time with his family, walking, playing golf, 80s music and is a lifelong West Ham United fan.